I'm the girl who will show up in jeans no matter what, but the jeans can get fancier and fancier. I feel most beautiful when Im rested. And after a yoga class. I negotiate almost every day. I often find that the best barometer for me of what to do next is to do what scares me the most. And its served me pretty well, really gently, and with no expectations; keep moving in the direction of what freaks me out. I like have no idea what my dream role would bebut this one is pretty fantastic! I keep my hair beautiful. I use a lot of framesi products on my hair. My colorist introduced me. I dont know how they do it, but they keep my fine hair pretty healthy. I was a huge ER addict. And recently, when I can't sleep, I've been watching MASH. I don't know if that counts as a hospital show, but it's impressive that they pull off that fine line of treating the serious things you deal with on a daily basis with levity. I feel like thats the weird thing about acting. You do enough detective work around the stuff and then you let it all go and just hope it is present in the moment. And you want to honor those thingsthe women I talked to. Its intense. Whatever lipgloss happens to be in my purse is my favorite! Zac is just a dear friend. Hes really, very easygoing. Hes just a real pleasure to work with. New Updates! (4/26/2019) We've been working really hard on completing our membership system so you can submit quotes and keep track of them. Once this is complete in the coming weeks there will be a lot more quotes by Taylor Schilling and other authors. We've also changed the sorting on the site so you now see the latest Taylor Schilling quotes first. 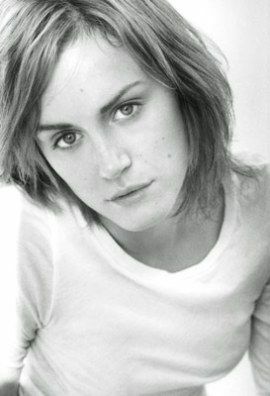 Our goal is to have the best Taylor Schilling quotes on the web!